“New mobile phone, released on December 24. Play comes with traffic. Maybe the Christmas gift you want the most”. This is what the Xiami’s official Weibo account reads. 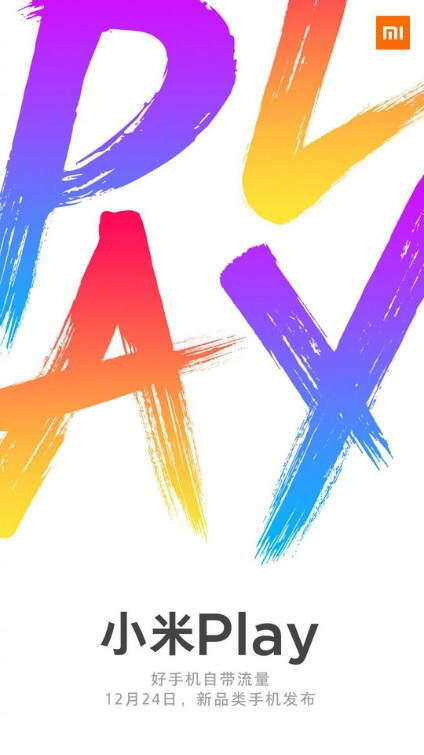 Chineses smartphone manufacturer today released a teaser poster revealing the launch date for its upcoming smartphone under its new Play series. The Xiaomi Play is a new smartphone which will be officially launched in China on December 24. However, today the company officially confirmed this, by sharing the teaser poster on its account. There isn’t much known about the upcoming device as yet but has been predicted based on its earlier leaks and rumors, the device won’t come like a whole new device instead, most of the specs you will find on the device would be similar to the POCO F1. In other words, we can say that the device would be launched as a rebranded POCO F1 for the Chinese market. 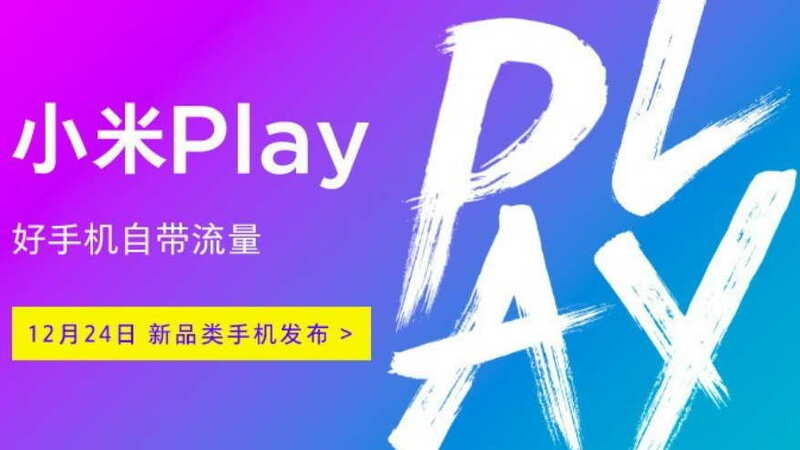 The name of the Xiaomi Play also suggests that the device would target users who love playing games on their mobile device. We expect the new Play device come at least up to 8GB of RAM and 256GB of internal storage. For smooths gaming on the device, the Xiaomi Play smartphone could be powered by a Qualcomm’s Snapdragon 845 octa-core processor with LiquidCool technology. The device could also feature a bigger battery up to 4000mAh capacity with fast charging support, IR Face Unlock, rear-mounted fingerprint sensor, and a USB Type-C port. However, we will certainly know more about the device in the coming days.